I managed to secure the services of a good developer and he reviewed the site.... the 3 elements , shop, blog and forum had been built using freeware that was becoming un compatible with EU web rules and was going to need constantly updating..... so I had to make a decision... re build the site in one go and be offline for a while or re build in pieces.... I aimed for the later..... the new forum was custom built adding the photo galleries to the V-Bulletin Format.... for this I needed new hostiing and a new server..... this was completed in September and came online on the 9th.... I have been furiously posting to get the interest back up and to try and bring across from the old forum all the good stuff from the years previous... not an easy job.... anyway, I am just about to get the new shop area squared away.... and in the New year will be the turn of my blog so it will have taken about a year to get everything back to how it was and better in January 2008. Ho Hum! I am continually adding to the Galleries where I hope to have some 500 watches displayed eventually, Military is loaded as are Heuer, Omega and Breitling but they all need to be added to... all pics where taken by me and belong to ATG . 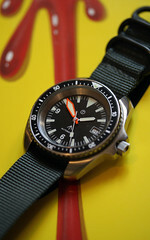 Here is now a pictorial horological review of 2008! Cheers! And a load of others... Too many do you think? Oh well the familiar year in a review of a WIS... what where your ins and outs of 2008? Al. Looks like you had a good year! Mine was interesting, to say the least. I began the year as the proud owner of two watches. A TAG Heuer Kirium Auto (midsize) that I'd bought in the early noughties from Singapore in a jetlag-induced haze, and a Grus quartz that my wife bought me back in the 90s. However, I'd seen the Bremont range launch in 07 and had been following their progress closely. Finally bit the bullet in March 08, following reviews I'd read here on ATG. It was to be the beginning of a rather slippery slope! 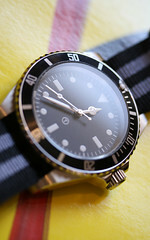 My ALT1-C creme dial was purchased from Selfridges - which, on reflection, was a bit silly. I hadn't realised then that Al was able to source them, so missed the chance of getting one with a different number. 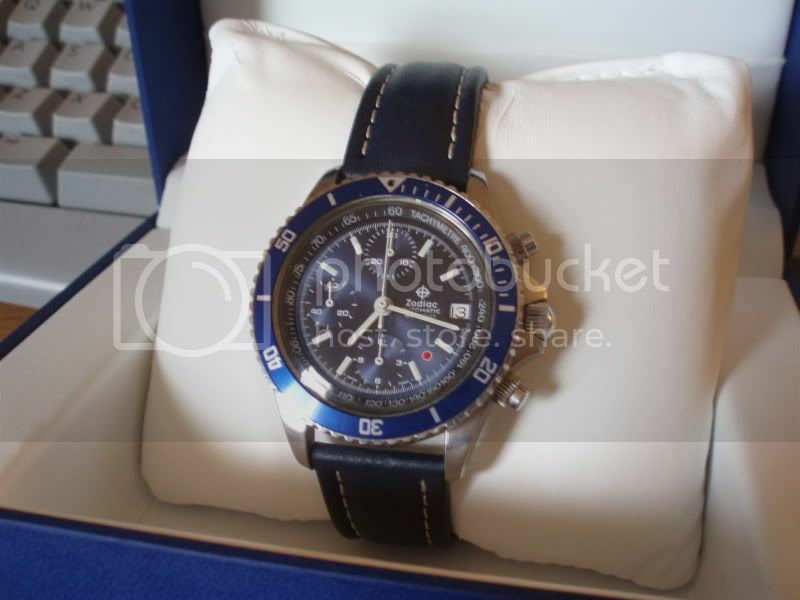 It was my first foray into the realms of "proper" watches (no disrespect to my TAG), and my first chronograph. 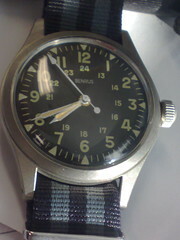 It remains my favourite watch. It was about this time that I started more actively participating in ATG Forums, and asking advice from its members. Within a few weeks, I'd drawn up a list of potential purchases and priorities, which went something like this. - Dive watch (to replace my knackered Casio that had served me so well - almost 200 dives and still beeping away strongly at each safety stop! It was a slippery slope, although I'm not sure I'm a WIS (yet). Looks its age, although nothing wrong with that! It was closely followed by a Smiths manual winding chrono from the 70s. Swiss made in a generic case, but rather pretty, in its way. I randomly picked up a 70s Lanco while waiting for it to arrive, although this was later moved on. Precista PRS17-C, as I'd yet to find a Lemania 5100! Things were getting out of control! In between, I found a few duds. But I guess that's all part of the joy! And I even got to meet some forum members, attend the Bremont EP120 launch, and end up taking a flight in the Bremont Broussard! Hope you all have great holidays and enjoy the New Year, and thanks for everything! 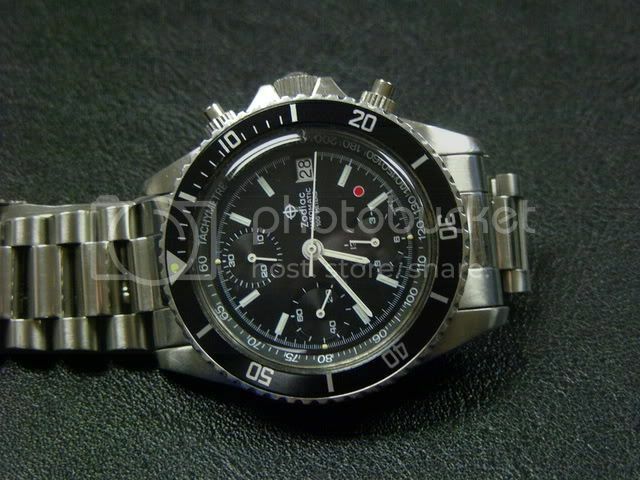 Only this one in - and I won't have it back from the watchmaker until 2009 from the looks of it. Nothing at all out though. Sell one of my "children"? Bite your tongue! Ooops! Almost forgot the Red Point's blackdialed sibling that I got so early in 2008 that it seemed like 07; I think we started trying to actually close the deal in 2007 but with US banking competence it went into 2008. And THIS one made it over in much better condition than the blue dial. Thanks again to Mr. Page.